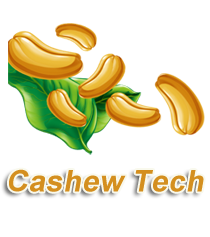 The sun dried raw cashews are gathered in a Cooker depending upon the capacity of the cashew cooking machine. The Steamer is filled with water up level and fire is given to generate steam of 6 kg/cm2. This process takes about 25 minutes. Now steam was released into the cooker and complete cooking is done in about 20 minutes. The shells get enlarged and the nuts are softened due to penetration of steam into the shell. The whole process takes about 45 minutes. 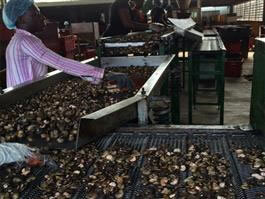 The nuts are then air cured which harden them for the next process of shelling. 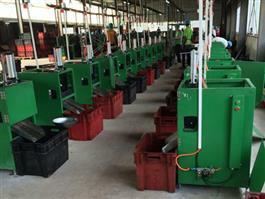 The cashews are gathered to undergo a steaming process in a Cooking Machine (Boiler). This process is carried out without the steam pressurizing the cooker vessel for about 30 minutes. However based upon the conditions of cashew nut and atmospheric situations, the cooking/steaming period varies. The shells get enlarged and the nuts are softened due to penetration of steam into the shell. About 45 minutes for a batch. 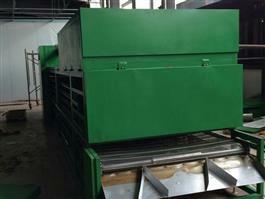 Makes the &apos;Vicon&apos; plasma cutting machine. Distributes &apos;InteliCAD&apos; HVAC AutoCAD software. Distributors of CNC equipment for tube fabricating industry. Range includes standard and custom models, auto loaders and unloaders, tube measuring centers, and specially developed software. New Zealand. Providing bendpak exhaust pipe benders and heavy duty vehicle lifting equipment for auto workshops.